↑ Zeidler, Eberhard (2004). Oxford User's Guide to Mathematics. Oxford, UK: Oxford University Press. 第 1188頁. ISBN 0-19-850763-1. ↑ Dunnington, G. Waldo. (May, 1927). 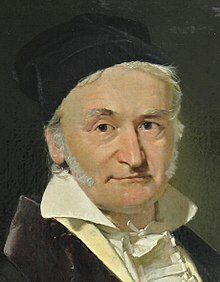 "The Sesquicentennial of the Birth of Gauss 互聯網檔案館嘅歸檔，歸檔日期2008年2月26號，.". Scientific Monthly XXIV: 402–414. Retrieved on 29 June 2005. Comprehensive biographical article.